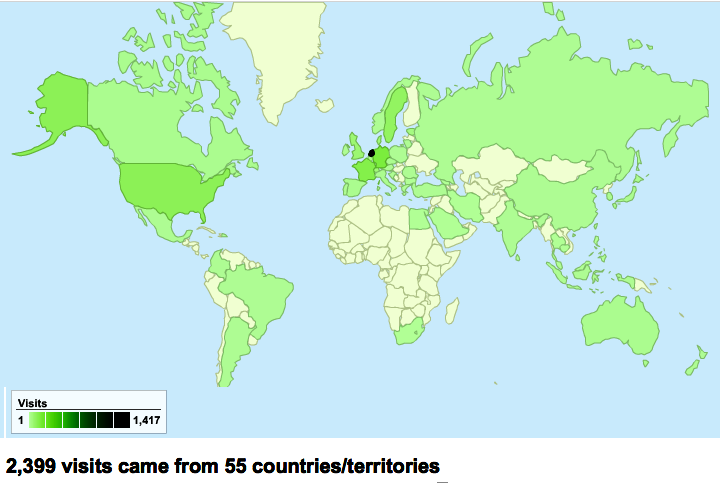 GRABLOG (Gerrit Rietveld Academie Graphic Design Department Blog Page) has started unofficially in January 2007. It aimed to be the picture of the department, follow the movement of the department. 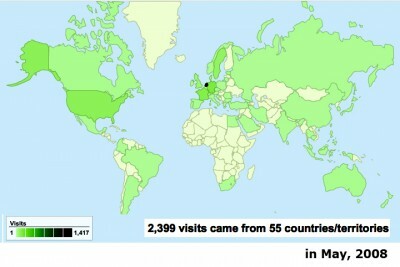 In 1 month it had been known in school and only last month (May, 2008) there had been 55 different countries in the world has accessed to Grablog. 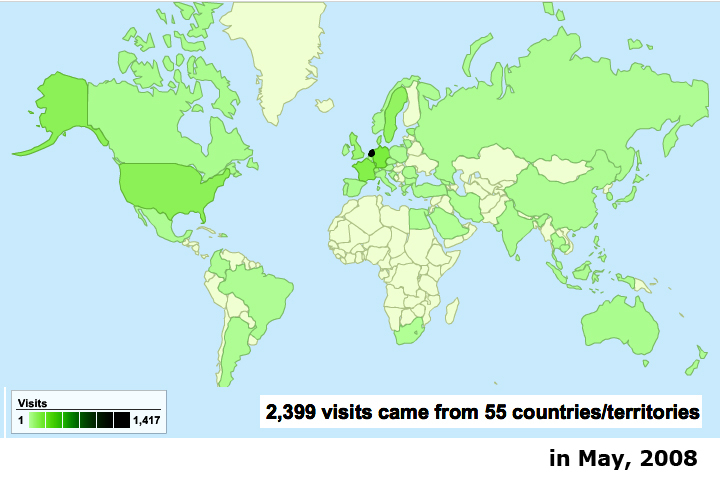 In this map you can see our May, 2008 visitors’ nationalities.